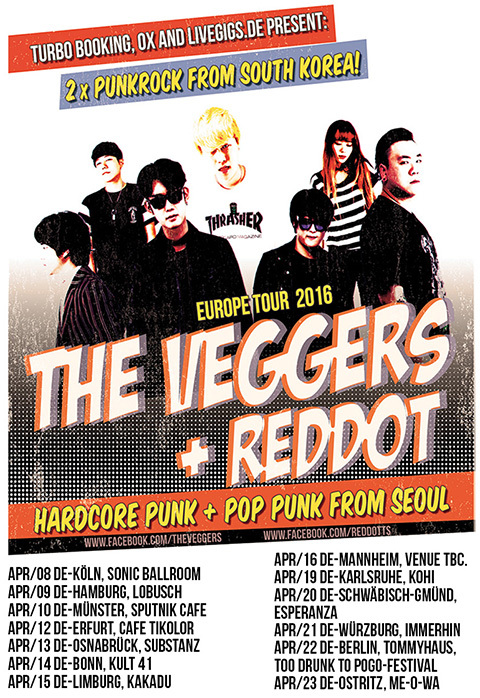 Unfortunately The Veggers and Reddot had to cancel their Switzerland and Italy shows in April. Two members of the Veggers didn’t perform their military service yet and the Korean government only allows them to travel to one country. Luckily I found some new places where they can play – many thanks to all the local promoters!